Do you want to get rid of your seemingly unwanted car? Have an old vehicle and you’re not sure what to do with it? 4×4 that’s been crashed in an accident? Ring our professional team and we can help you make good cash for your car. Our well-trained consultants are experts in turning old trucks, tractors, vans, utes & cars into money for you. Our service covers anywhere in the North Island particularly Waikato, Bay of Plenty and Coromandel regions. Looking for cash for car removal? Want a truck wrecker to tow away your truck now? Need a van removed? Want to sell your old car for a great $$$? Our car and automotive dismantlers offer a FREE pick up from anywhere in North Island so call us to find out more. new car parts for sale. Call our car wreckers today on 0800 22 4000 and arrange your free car removal! Honor the quote we give you when we come to pick up your car. Call us at 0800 22400 to receive your quote today! Offer free cash for cars pick-ups. Unlike several of our competitors, they charge you a fee to remove your rusted out car off your property. We don’t! 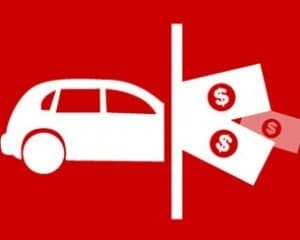 Pay top cash prices so you’ll know you received a fair deal when we come to pick up your car. Will accept your car in any condition. Your car can have its doors lying on the ground, missing tires, not running, and rusted out, and we’ll still pay you and take the car off your hands! We are a team of professionals who put safety first and treat all our clients in a professional manner when we come to pick up your car. Service a large area in New Zealand. Cash for Cars in Hamilton services Northland, Rotorua, New Plymouth, Taupo, Waikato, and Bay of Plenty. Work around your schedule. If you aren’t available for our team to come and pick up your car during the week, we’ll come on Saturday if it helps. Safely recycle every part on the car. There are companies who tell their customers they recycle safely, but they don’t. Rest easy in knowing all the fluids and parts are removed and recycled safely to protect our NZ environment.